23 November 2015 – Seventeen International Human Rights NGOs wrote a letter to the US Secretary of State Mr John Kerry on 20 November 2015 to express concern over the grave situation of Sheikh Nimr Baqir al-Nimr in Saudi Arabia, awaiting capital punishment in Saudi Arabia. We write to you in regards to Sheikh Nimr Baqir al-Nimr, an imprisoned political activist and Shia Muslim religious scholar in Saudi Arabia, whom we fear is at imminent risk of execution. On 24 October 2015, the family of Sheikh al-Nimr discovered that the Supreme Court has upheld the cleric’s death sentence and his case sent to the Ministry of Interior for implementation of the sentence. 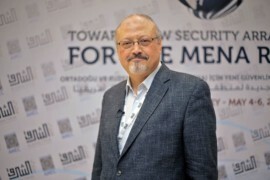 We ask that you publicly call on King Salman bin Abdulaziz Al Saud to stay Sheikh al-Nimr’s execution, drop all charges against him that are based solely on his peaceful criticism of the Saudi Arabian authorities, and order a new trial that guarantees him a fair hearing. During his detention and trial, the Saudi Arabian authorities repeatedly violated Sheikh al-Nimr’s due process rights. Security forces violently arrested the then-53-year-old cleric in July 2012, shooting him multiple times. After holding Sheikh al-Nimr for months without charge, the authorities brought him to trial before the Specialized Criminal Court, the kingdom’s anti-terrorism tribunal. The cleric’s trial was grossly unfair. The judge prevented him from adequately preparing his defense, meeting with his lawyer, and exercising his right to cross-examine witnesses – specifically his arresting officers, who did not testify in open court but whose written testimony the judge deemed admissible as evidence against the cleric. During this time period, the Saudi Arabian authorities denied Sheikh al-Nimr access to adequate medical care, failing to properly treat his paralyzed right leg and remove a bullet from his body until February 2015.